“For decades there have been secrets in the Arizona desert, malfeasance and lies that threaten the lives of people who await execution for crimes that the evidence clearly indicates they did not commit. Within this site is the story of Jeff Landrigan who was executed in 2010, and the ongoing sagas of Eric King, Debra Milke, Jim Styers and Eldon Schurz. All five were arrested in December of 1989 and the four remaining alive are very near to execution, with Eric’s date set for March 29th . However, all four cases leave more than a little doubt as to their guilt, with Eric, Debra, Jim and Eldon professing innocence. Additionally, these stories include the work of a group of detectives who clearly did not mind coercion, lies or fabrication to assure conviction in a case. Foremost, among them is retired Phoenix Detective Armando Saldate who had a less than sterling reputation including that he was known to use and disciplined for his coercive tactics during interrogations. His character can easily be called into question, however, his tale tales and dubious actions were almost solely responsible for the convictions of Eric, Debra, Jim and Eldon when there was actually no credible evidence in any of the cases. There is also Detective Mike Chambers who either blatantly lies during another proceeding concerning Eldon’s codefendant or knowingly allows the codefendant to lie in court to free himself. A minor role was even played by Detective Charles Gregory who was later proven to have assisted Noel Levy in the wrongful prosecution of Ray. No one spoken of here was above reproach in 1989. However, there is clearly a web of deceit that led to these people facing execution. In all of the cases, there is not enough credible evidence to support conviction and certainly not enough to justify taking their lives. At best, each of them was wrongfully convicted. The evidence indicates that they were imprisoned for crimes that they did not commit. Thus, the question becomes is wrongful conviction acceptable if the person’s record is less than stellar? 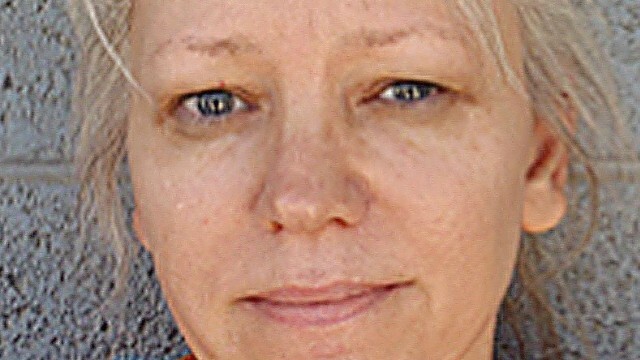 Debra Milke a free woman… for now. Posted on September 7, 2013 in Behind the crime. Debra Milke to be released pending retrial. After nearly 24 years in custody, Debra Milke will step back into the real world, probably today, until the murder charge against her is settled one way or another. But the prosecution has hurdles to overcome before taking Milke back to trial. A judge must decide whether a contested confession can be admitted into evidence. And the Phoenix detective who allegedly obtained the confession has to agree to testify. Maricopa County Superior Court Judge Rosa Mroz ruled Thursday morning that Milke, 49, can be released on a secured bond of $250,000, pending her retrial. Sheriff Joe Arpaio issued a statement Thursday afternoon saying that Milke would likely be released some time today, and that she was refusing all requests for interviews on the advice of her attorneys. At a court hearing Aug. 30, Milke’s attorneys, Mike Kimerer and Lori Voepel, told the court that Milke’s supporters would be able to put up bond money and had provided a house for her to live in as the legal process plays out. Milke has a strong following of people who believe she is innocent, especially in Europe, where she has family. 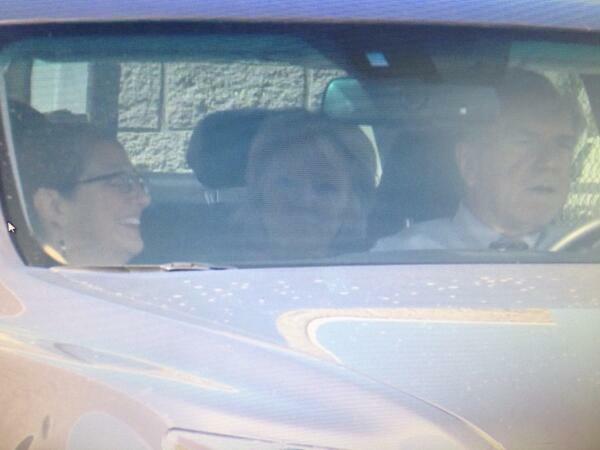 Kimerer said that Milke was stunned and ecstatic to learn she would be released, and that she broke down in tears. “I’m so overwhelmed by this, I don’t know how to react to it,” Kimerer said she told him. The judge ordered that Milke post a secured bond, which requires that the entire amount be put up as assurance that the defendant does not abscond; or, if contracted through a bondsman, it would require putting up collateral one and a half times the amount of the bond, in addition to paying a fee. Milke must wear a monitoring device and adhere to a curfew. Debra Milke and two accomplices, James Styers, the suspected shooter, and Roger Scott, were sent to Arizona death row for the December 1989 murder of Milke’s 4-year-old son, Christopher. They told the boy that they were taking him to see Santa Claus at the mall and instead took him to the desert and shot him in the head. But in March, the 9th U.S. Circuit Court of Appeals threw out her conviction and death sentence, because the prosecution had failed to turn over evidence about the Phoenix police detective who claimed that Milke confessed. Milke denied confessing; the detective, Armando Saldate, had not recorded the confession and there were no witnesses to confirm it took place. Whether the confession comes into evidence will be argued on Sept. 23. The court appointed attorney Larry Debus to represent Saldate in that hearing. Debus told The Arizona Republic that he has just begun evaluating the case and does not yet know what advice he will give to Saldate. But Saldate is under great pressure in the case. The chief judge of the 9th Circuit asked the U.S. Attorney General’s Office to investigate the Milke case for civil-rights violations. The 9th Circuit ruling also noted that Saldate was found by courts to have lied in various court cases, and if his future testimony varies from those findings, he runs the risk of committing perjury. If Saldate invokes his Fifth Amendment rights and refuses to answer questions, the confession probably would not be allowed. When the case was first returned to Maricopa County for retrial, prosecutors were hopeful that Milke’s alleged accomplice, Scott, would testify against her. Scott confessed to taking part in the murder in 1989, but did not testify in Milke’s first trial. Last week, Imbordino stated in open court that Scott would probably not testify in the retrial either. Without Saldate and without Scott, the prosecution has a weak case. According to the 9th Circuit, Milke had to be taken to trial within 90 days of the completion of a U.S. District Court order transferring her to the jurisdiction of the Maricopa County Attorneys Office, which is Oct. 7. If Milke’s trial did not start by that date, the 9th Circuit said, she would have to be released from custody during her trial. On Thursday, the Arizona Attorney General’s Office filed a motion in U.S. District Court on behalf of the Maricopa County attorney to have the trial deadline pushed back, a request that may have been rendered moot by Mroz’s ruling. 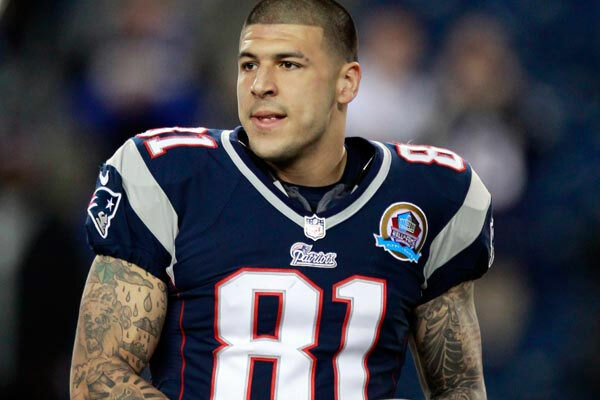 Aaron Hernandez arraignment set fAaron Hernandezor Friday, September 6. Odin Lloyd texted his sister in the wee hours of June 17. At the time, according to prosecutors, Lloyd was in a silver Nissan Altima with Aaron Hernandez, a star tight end with the NFL’s New England Patriots, and two other people. About 3:25 a.m. — two minutes after the message went out — gunshots shattered the quiet night in a southeastern Massachusetts industrial park, according to witnesses. Not five minutes passed before a surveillance camera at his North Attleborough home captured video of Hernandez carrying what appears to be a gun, prosecutors said. Lloyd lay dead about a mile away. The video is among the evidence prosecutors are gathering in their case against Hernandez, 23, who is set to be arraigned Friday. Let go by the Patriots, Hernandez will step into a courtroom for the sixth time since his June 26 arrest. He’s expected to formally plead not guilty to first-degree murder in the death of Lloyd, a 27-year-old semipro football player. Fee has told reporters that the case against his client, who is being held without bond, is circumstantial. “There’s an incredible rush to judgment in this case,” according to the attorney. Friday’s arraignment comes as authorities continue to investigate Hernandez in connection with an unsolved 2012 double homicide case in Boston. 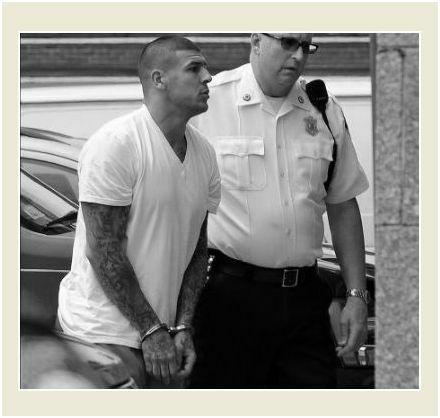 Investigators have obtained July 2012 video surveillance allegedly showing Hernandez at a nightclub at the same time as two men who were fatally shot that night, according to a law enforcement source with knowledge of the investigation. The video apparently does not show Hernandez interacting with Daniel Abreu, 29, and Safiro Furtado, 28, according to a law enforcement source. The development was first reported Wednesday by the Hartford Courant. Boston police have said the men were inside a BMW sprayed with gunfire after they left the nightclub. Law enforcement sources said they believe Hernandez rented a silver SUV with Rhode Island registration that was linked to the scene of the double homicide. After Lloyd’s murder, Bristol, Connecticut police discovered the vehicle by accident while searching the garage of Hernandez’s uncle, a law enforcement source told CNN. Boston police had been looking for the vehicle for almost a year, law enforcement sources added. Hernandez has not been charged in the unsolved double shooting. His attorneys have previously declined to comment to CNN when asked about the ongoing Boston investigation. A Bristol County, Massachusetts, grand jury last month indicted Hernandez on a first-degree murder and five weapons charges. Prosecutors say Hernandez orchestrated the shooting of his friend Lloyd, who was dating the sister of Hernandez’s fiancee. Police have not located the gun believed to have been used in the Lloyd killing. But prosecutors say Hernandez returned a rental car with a bullet casing that allegedly matched bullets found at the scene. Surveillance cameras showed the car believed to be carrying Hernandez and the others at the industrial park, according to authorities. Hernandez has been sitting in a jail cell as his former team, known for its stellar offense, contends for another Super Bowl title. The Patriots open their regular season Sunday against the Buffalo Bills. In his letter to the fan, as reported by TMZ, the fallen NFL star said the world makes things “out of false accusations” and that he will be exonerated. CNN’s Laura Dolan, Lorenzo Ferrigno, Greg Botelho and Laura Ly and HLN’s Amanda Sloane contributed to this report.